On 'Poetisches Tagebuch', one of today's foremost lyric tenors, Christoph Prégardien, and his equally illustrious accompanist Julius Drake, perform nine songs by Schubert to words by the Saxon poet Ernst Schulze, together with a further eight songs to lyrics by other poets. These songs of loss, alienation and obsessive longing ('Winterreise' is already glimpsed) are among Schubert's most powerful and poignant, and two of them, 'Im Frühling' and 'Auf der Bruck', both recital favourites, are among the composer's most popular lieder. Poet Ernst Schulze (1789-1817) lived in a world in which the boundaries between the real and the imagined were increasingly hazy. As a student he shared Don Giovanni's 'mille tre' attitude to women, notching up a string of casual conquests. When his campaign to seduce Cäcilie Tychsen failed, and she died of tuberculosis, she became idealised as his lost bride-to-be, saviour and muse. Conveniently for the fantasising poet, Cäcilie had a sister, Adelheid, to whom he quickly transferred his affections. From 1813 until his own early death, likewise of tuberculosis, Schulze embroidered this fragmentary, largely one-sided relationship in the 100 poems that make up his Poetisches Tagebuch ('Verse Journal'). 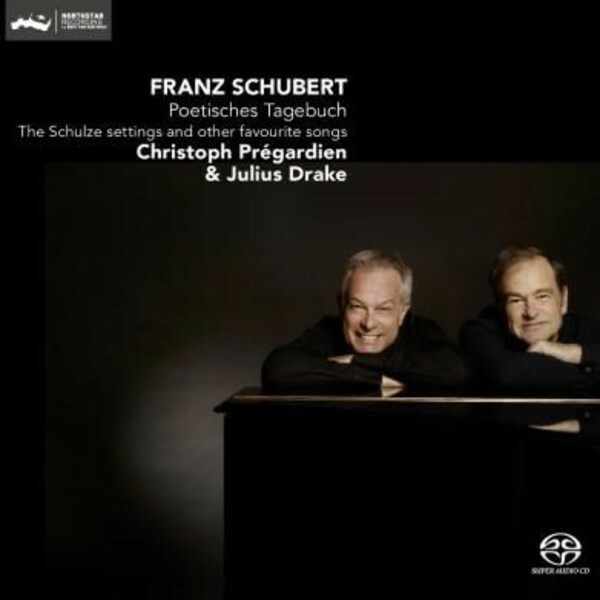 Schubert first seems to have alighted on Schulze's work in 1824, when he flirted with the idea of making an opera from the narrative poem 'Die bezauberte Rose'. Then in March 1825 he set 'Im Walde' from the Poetisches Tagebuch, initiating a sequence of Schulze songs composed over the following year.